Create Memories for the people you Love. Festive, Fun and Friendly. 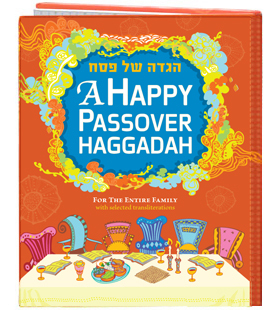 A Happy Passover Haggadah will become a central part of your Passover tradition. A wonderfully designed, 88 page hardcover book, blasting with color. Hebrew and English with selected transliterations. Signed by the Artist – upon request!